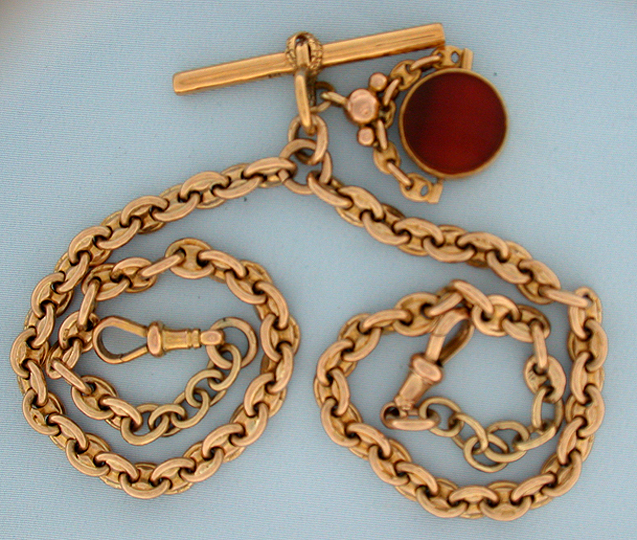 Fine and substantial 15K gold anchor link double swivel antique pocket watch chain with fob circa 1880. 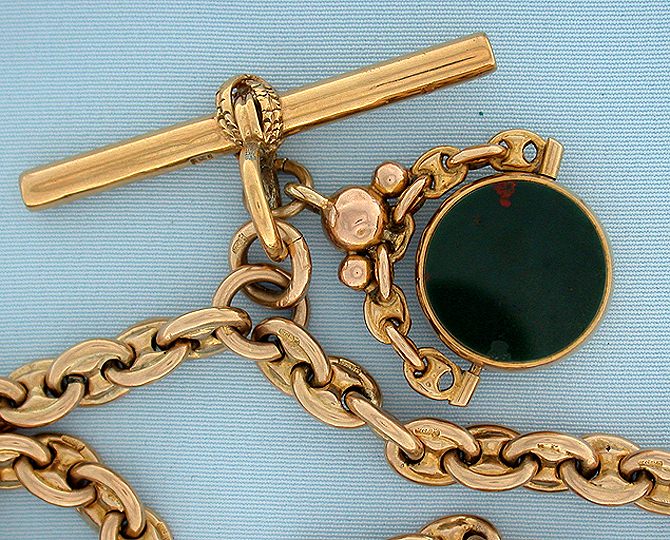 The fob set with two different stones, the t-bar is 14K gold. Weight 50.1 dwt. Most attractive.